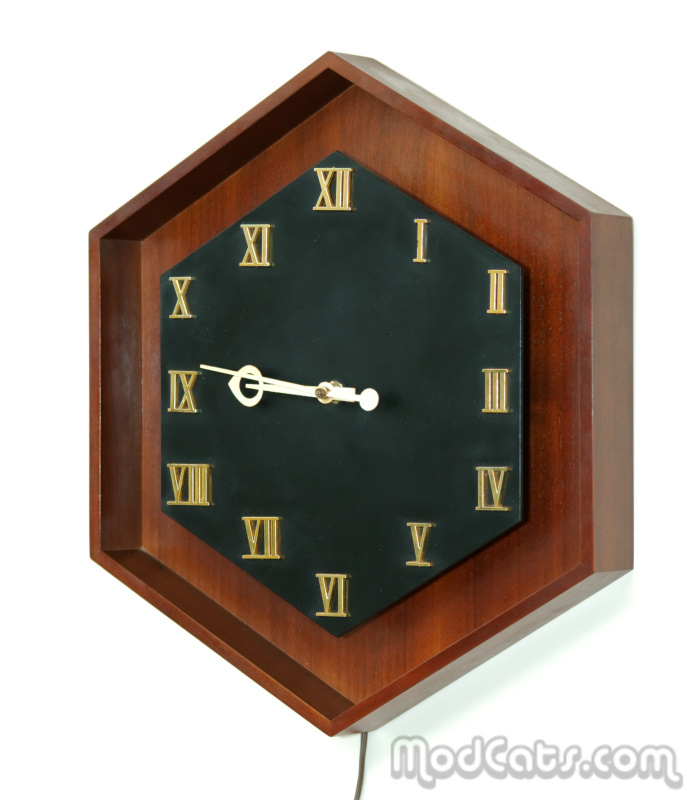 Hexagonal walnut AC electric wall clock from the "Meridian" series era (Model number 560). Herman Miller Company - Zealand Michigan. Electric movement has regulator adjustment.